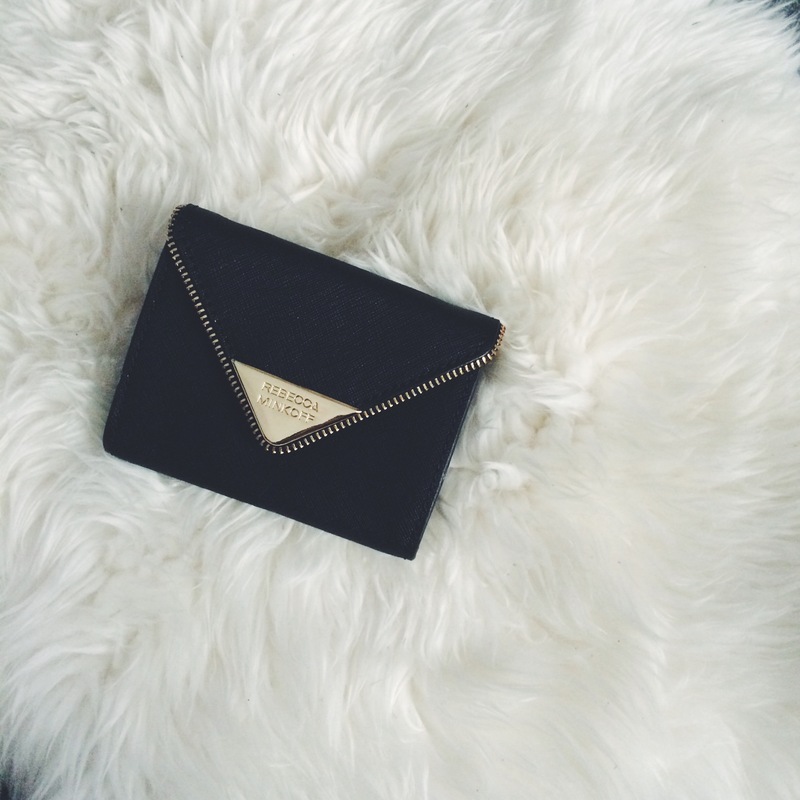 I’ve been meaning to downsize my wallet for quite a while now, mainly because the current one I have, though I love and can hold a lot of things, is really big and does not fit well with the smaller purses I like to use on the weekend. So during the recent Fourth of July sale on Rebecca Minkoff, I purchased 2 new wallet to replace it and my stay at home card holder for cards I normally don’t need (my emergency cards, different stores rewards card, metro cards for other cities, etc). 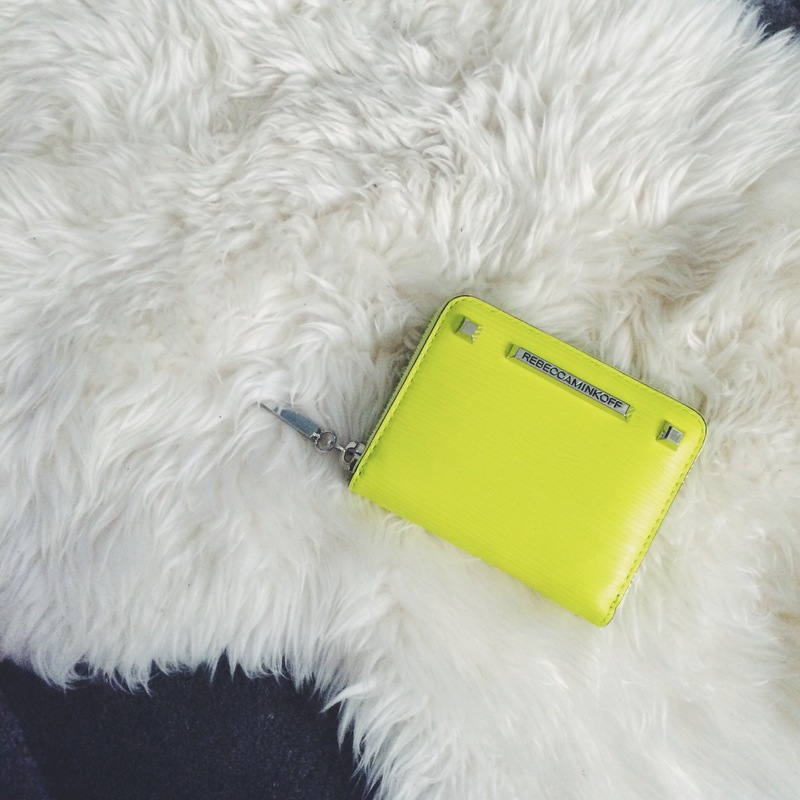 First up that’s talk about this electric yellow babe – The Mini Ava Zip wallet is a full zip around wallet that has 3 pockets in it for you to put either money, change, or cards. I love the bright color as it’s easy to spot and the size is actually really spacious and doesn’t make you feel like your wallet is exploding when you fill it up. Second is this black Molly Metro Wallet I’ve been drooling over for a long time, there were multiple color options but I opt for the black and gold because I love how elegant and edgy it looks. Unlike the Ava, this one is slightly smaller and less thick, it is a button closure but has a separate zip pocket inside for change. I used it for the first time this weekend and really love how small and convenient it is, and the fact that the ID slot is designed in a way I can easily take out my ID without fussing and bending my wallet is definitely a huge plus. I’m enjoying the small wallets and plan to replace my large one full time (right now I only switch it out for the weekends as it doesn’t bother me as much in my work purse). Overall I would say the quality of the Rebecca Minkoff wallets are nice, but I wish they come with dust bag or something when ordered online so I have a way to store them when I’m not using them.